My Wandering Eye: What’s Been Getting Me Excited Lately? It’s a new edition of “My Wandering Eye” — or, mostly, ear. I really, really love that song. It’s been in heavy rotation. Oh, and I’m thinking about having a “Bindlestiffs” viewing party. The trailer makes me laugh. A lot. I haven’t read too many critiques of the ruling on the Affordable Care Act from the left. Sam Smith fills that void. I’ve been reading his work for at least 15 years and always find him intelligent and insightful whether I completely agree with him or not. Maybe you will, too. The thing that prognosticators got wrong about Justice Roberts was that he actually wanted to help the insurance industry more than he wanted to diss Obama. The Supreme Court’s healthcare decision is much easier to understand when you remember that the idea of the individual mandate came from the right wing Heritage Foundation and that among its supporters before the court were the health insurers wanting to benefit from it. But then he proceeded to justify the tax approach, saying that Congress’ ability to tax and spend is unlimited. Make sure to read more of Smith’s work here. Stuck in the street where the ambulances roam. I can barely hear you speak as they begin to wail. They rush to meet a patient they’ve never seen. He’s known you all your life, and that makes it sting. I can’t see your face. I only have your voice. But I picture you looking lost so many years ago. You’re back in school. Beautiful in youth. Your heart starts to race and your head is hanging low. He’s forgotten again. It doesn’t surprise you. Here and now, the sirens won’t stop echoing in your head. A sickness comes over you, the one that’s been so close all day. I wish I could reach you. I wish I could put that fear to rest. But all I can do is send an image through the phone. Grandpa’s Ghost Is In My Ear! Have you ever had a ghost in your ear? I’m asking because I think I might have a ghost in my ear. Last weekend, Dad and I were standing in the milk barn (after I got in some quality windrower time) when he mentioned his ear was bothering him. The same thing happened, Dad informed me, after Grandma died several years ago. “It must be Grandpa whispering in your ear,” I joked (as Grandpa had passed away in May). Ha. It turns out the joke is on me. He’s probably enjoying all those awesome tunes I’m pumping in there, although they must be a sharp contrast to the Lawrence Welk music he loved so much. Or maybe these annoying squishing sounds in my ear are simply due to the fact that I got some water in my ear while using the shower on the farm. Meanwhile, Dad is chalking up his experience to wax build-up. Those would be logical explanations. 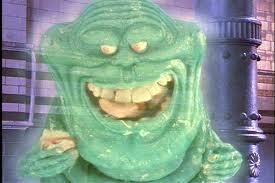 But, hey, they aren’t nearly as much fun as saying your grandpa’s ghost is in your ear! Please don’t bother me right now. I’m in a really, really beautiful place, and I don’t want to be disturbed. Quick to keep up with any updates about the Dead Can Dance reunion after their 14-year hiatus (and 16-year break from releasing an album), I clicked on the link. To my surprise, the page also included a full stream of the new album. 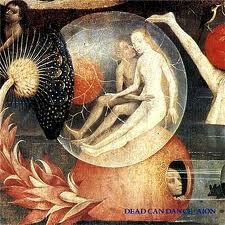 So yes, after being so disappointed about their break-up in 1998, I’m now listening to a new Dead Can Dance album. It’s something I never expected I would be able to do again. I remember when I discovered Dead Can Dance. It was 1993. I was a freshman in high school. At that time, I was already very interested in music, and I remember longing for a sound that was somber, timeless and had great depth. It may have had something to do with the introduction Enigma had given me to Gregorian chants. I listened to Enigma A LOT in junior high and probably wanted to delve a little deeper into that world. Well, I also happened to listen to “Hearts of Space,” a legendary, hypnotic NPR program that focuses on “slow music for fast times.” It was on my birthday — Nov. 12, 1993 — that “Hearts of Space” aired a program entitled “Dead Can Dance,” which was a retrospective of said-band’s career up to that point. What a birthday present! I had found what I had been seeking. Luckily, I taped the program and listened to it endlessly on my way back and forth from school. INTRO : The endless drone of the ground bass, the ageless voice echoing forward through the centuries, a sound steeped in the psychic resonances of bygone eras – this is not so-called “early music,” but modern music by discriminating time travellers reaching into the past with an anthropologist’s sense of history, but the heart and soul of an artist. On this edition of Hearts of Space, a program devoted to the darkly beautiful ancient/contemporary music of DEAD CAN DANCE. DEAD CAN DANCE are BRENDAN PERRY and LISA GERRARD, both of Anglo-Irish descent. They met in Australia in the early 1980’s. Inspired by medieval and Renaissance music as well as modern rock, they chose for their name the stunning oxymoron DEAD CAN DANCE. With it’s richly ambiguous symbolism of the transformation of inanimate into animate, they set about the alchemical transformation their source material into a new amalgam for 20th century music. In 1982 they moved to England, where they began recording for the progressive pop label 4AD. As you’ll hear, over the years, they’ve broadened their inspirations to include Eastern European, near Asian, and Arabic classical music as well. LISA GERRARD has matured into one of the finest vocalists anywhere in contemporary music, mastering numerous languages, ethnic singing styles, and forms of intonation, while BRENDAN PERRY has become a master record producer, directing both the music and the artwork for their recordings. It’s a journey into the labyrinth – the dangerously beautiful world of DEAD CAN DANCE. Now, I’m journeying back into the labyrinth. Listening to the new album, Dead Can Dance are still animating what was thought to be lost. They are still casting a spell using ancient and modern elements. They are still a musical creation unparalleled by anything else I’ve ever heard. If you’d like to listen for yourself, visit their website. … In real life, it can get you arrested. Two Yankton teens learned that Wednesday night. When an officer arrived, they were no longer on the 50-yard line but were apparently in a position to be charged with indecent exposure, sexual contact with a person under 16 and lewdness. When speaking with Police Chief Brian Paulsen, I asked him if he had a message for kids, such as, “Use your heads.” Before those words were completely out of my mouth, we were both in agreement that was not the way to phrase it. Rather, Paulsen advised parents to keep track of their kids and know their whereabouts at all times. Also, establish clear rules of when they can “see” a boy or girl. I know, it sounds easier than it is in practice. Kids will be kids. I remember. You probably do, too. Peter Edelman provides some insight into what he calls the United States’ low-wage work pandemic. Is it any wonder that many Americans are getting so defensive about holding on to what scraps they have? This is a result of growing inequality. Why so much low-wage work? Because over the past 40 years, well-paying industrial jobs disappeared, unions lost much of their clout, the minimum wage stagnated and the field of competition in many areas became globalized. – an excerpt from Peter Edelman’s op-ed on Other Words, a project of the Institute for Policy Studies. Edelman recently published a new book on the state of poverty in America, So Rich, So Poor. Click here to read our interview with Peter Edelman from May 29, 2012.